Walk Around/Mingling Magic is Perfect for Keeping Guests Entertained! 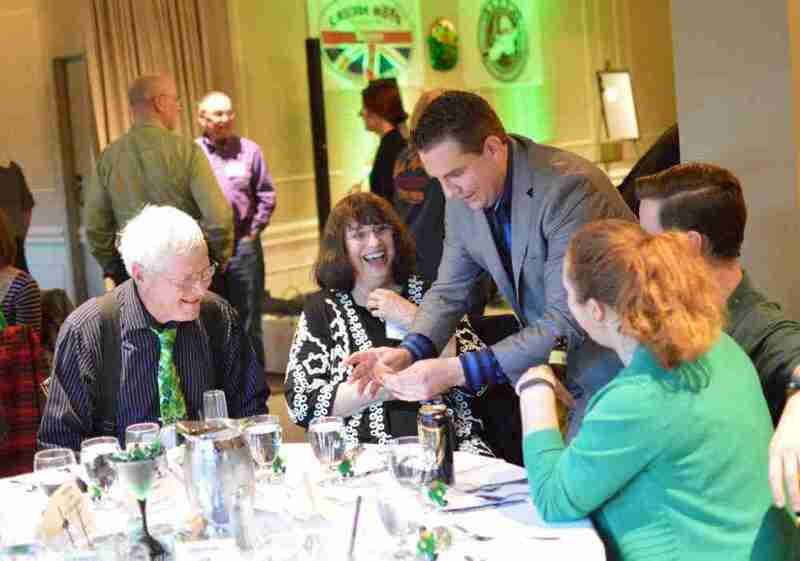 Close-up magic (also known as mingling or roaming magic) is a great addition to any event. Mingling magic is great for times between events, like your cocktail hour or receptions, or at events where people are seated at tables OR standing in a room. During this time, Kevin moves from group to group, showing people amazing tricks, helping people make new friends…basically making sure everyone has a good time! Close-up magic is perfect for events without a stage or performance area. Working his way around the room, Kevin performs close-up miracles in the hands of your guests. As an event planner, you want your guests to have fun. The beginning of any event is often the hardest. Kevin can ease the tension, build excitement, and create connections by sharing laughter and amazement through magic. Roaming magic, strolling magic, and walk-around magic are all different names for the type of magic that happens in an intimate setting, right in the spectator’s hands. It’s a highly-interactive form of magic that gets people involved in smaller groups and is the perfect prelude to Kevin Allen’s full stage show. Walk-around magic works well at events like company banquets, weddings, corporate celebrations, proms/grad nights, grand openings, and even house parties. Call Kevin today to discuss how this very popular type of magic can take your event to the next level! If you’re looking for entertainment for all of your guests at the same time, visit Kevin’s STAGE SHOWS page. Reserve your date by calling 800.388.5567 or filling out the form below!